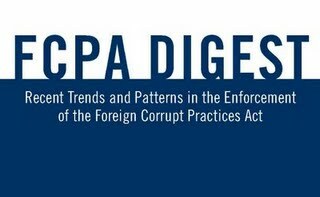 FCPA violations: The Justice Department is targeting individuals who pay bribes to foreign officials. Photo by Ken MayerTwo former Willbros managers on Thursday were given jail time for conspiracy to violate the Foreign Corrupt Practices Act. They bribed foreign government officials and employees of state-owned firms to win pipeline work and gain other advantages. Jim Bob Brown, 48, was sentenced in federal court in Houston to one year and one day in prison and fined $17,500; Jason Edward Steph, 40, was sentenced to 15 months and fined $2,000. Steph, who once served as general manager of on-shore operations for Willbros International, pleaded guilty in November 2007. He said in his plea that in 2005 he, Brown, and others arranged to pay about $1.8 million in cash to Nigerian officials. Brown pleaded guilty in September 2006 to conspiracy to violate the FCPA. He and Steph cooperated with the government’s investigation. Brown said from 1996 to 2004, he and others plotted to negotiate lower Nigerian federal and state taxes in exchange for bribes to revenue officials. And he admitted conspiring to make corrupt payments to officials in the Nigerian court system in exchange for favorable treatment on pending cases. Brown also paid at least $300,000 in bribes to Ecuadorian government officials from PetroEcuador and PetroCommercial in exchange for contracts. The DOJ said all the payments violated the FCPA's antibribery provisions. In May 2008, Willbros Group and its subsidiary Willbros International paid $22 million and entered into a deferred prosecution agreement with the DOJ to settle criminal FCPA charges in connection with corrupt payments to Nigerian and Ecuadorian officials. Willbros Group also paid $10.3 million (disgorgement of $8.9 million, plus prejudgment interest of $1.4 million) to resolve the SEC's civil enforcement action. In December 2008, another former executive and an ex-consultant of Willbros International Inc. were charged in the case. Consultant Paul G. Novak, 43, pleaded guilty in November 2009 to conspiracy to violate the FCPA. He's scheduled to be sentenced on February 19. James K. Tillery, 49, a former Willbros International executive, was also charged but remains at large. In May 2008, the Securities and Exchange Commission charged Steph and former employees Gerald Jansen, Lloyd Biggers, and Carlos Galvez with aiding and abetting Willbros Group's violation of the antibribery, books and records, and internal controls provisions of the FCPA, and knowingly circumventing the FCPA's internal controls and books and records provisions. All four consented to permanent injunctions, with Jansen and Galvez ordered to pay civil penalties of $30,000 and $35,000 respectively. Determination of Steph's civil penalty was deferred pending his sentencing in the criminal case. In November last year, Frederic Bourke, who was convicted at trial, was sentenced to a year and day in jail for conspiracy. David Kay and Douglas Murphy started serving their sentences last year for substantive FCPA violations. They were convicted at trial and sentenced to 37 months and 63 months respectively. In April 2009, Virginia-based physicist Shu Quan-Sheng was sentenced to 51 months in prison. He pleaded guilty in November 2008 to one count of violating the Foreign Corrupt Practices Act and two counts of violating the Arms Export Control Act. In September 2008, two former executives from telecoms company ITXC Corporation avoided prison. Roger Michael Young was sentenced to five years probation with three months home confinement after he pleaded guilty in July 2007 to violating the FCPA and the Travel Act. Steven J. Ott also pleaded guilty and was sentenced to five years probation with six months in a community confinement center and six months home confinement. Also in September 2008, Albert "Jack" Stanley, KBR's former CEO, pleaded guilty to a two-count criminal information charging him with conspiracy to violate the Foreign Corrupt Practices Act and conspiracy to commit mail and wire fraud. He agreed to a seven year jail term with a chance for reduction based on his cooperation. In April 2008, a former World Bank employee, Ramendra Basu, received 15 months in prison for conspiring to award World Bank contracts to consultants in exchange for kickbacks and for helping a contractor bribe a foreign official. He pleaded guilty to conspiring to commit wire fraud and to violating the FCPA. A copy of the DOJ's January 28, 2010 release is here. See our prior posts about Willbros and its personnel here. Gerald and Patricia Green -- January 21, 2010. Jim Bob Brown -- January 28, 2010. Jason Edward Steph -- January 28, 2010. If all of them are sentenced on schedule, this will be the biggest sentencing month ever for individuals in cases involving the Foreign Corrupt Practices Act. This month could also see the longest sentence handed out to an FCPA defendant. Under the federal guidelines, Gerald Green, 77, is facing between 20 and 25 years in prison; the government wants him sentenced to life in prison. Mario Covino and Richard Morlok were scheduled to be sentenced on January 25 but their dates have been reset to February 14, 2010. See related posts Their Days Are Numbered and Make That Sixteen. A former consultant for a subsidiary of Houston-based Willbros Group Inc. pleaded guilty on November 12 to paying $6 million in bribes to officials who worked in the Nigerian government, in government-owned companies, and in a political party there. Paul G. Novak, 43, pleaded guilty in federal court in Houston to one count of conspiracy to violate the Foreign Corrupt Practices Act and one substantive count of violating the FCPA. He's scheduled to be sentenced on February 19, 2010. The bribes were intended to help Willbros win and keep contracts for the Eastern Gas Gathering System (EGGS) Project, worth about $387 million. The project was a natural gas pipeline system in the Niger Delta. Novak, along with alleged co-conspirators James Kenneth Tillery, Jason Steph, Jim Bob Brown and three employees from a German construction company based in Mannheim, Germany, agreed to make the corrupt payments to, among others, government officials from the Nigerian National Petroleum Corporation, the National Petroleum Investment Management Services, a senior official in the executive branch of the federal government of Nigeria, members of a Nigerian political party and officials from the Shell Petroleum Development Company of Nigeria Ltd.
To fund the bribes, Steph and others used a Willbros' subsidiary, Willbros West Africa Inc. (WWA), to enter into agreements with two consulting companies Novak represented. Without providing any services, the consulting companies would invoice WWA and be paid from Willbros' bank account in Houston to accounts in Lebanon. Novak then used money from the Lebanese accounts to bribe the Nigerian officials. On September 14, 2006, Jim Bob Brown, a former Willbros executive, pleaded guilty to one count of conspiracy to violate the FCPA, for his role in making corrupt payments to Nigerian government officials to obtain and retain the EGGS contract and for making corrupt payments in Ecuador. Brown's sentencing is currently scheduled for January 28, 2010. On November 5, 2007, Jason Steph, also a former Willbros executive, pleaded guilty to one count of conspiracy to violate the FCPA, for making corrupt payments to Nigerian government officials to obtain and retain the EGGS contract. Steph's sentencing is also scheduled for January 28, 2010. See our post here. On May 14, 2008, Willbros Group Inc. and Willbros International Inc. entered into a deferred prosecution agreement and agreed to pay a $22 million criminal penalty, for the illegal payments to government officials in Nigeria and Ecuador. See our post here. James K. Tillery was charged, along with Novak, for his alleged role in the bribery scheme in an indictment unsealed on December 19, 2008. According to the indictment, Tillery was a Willbros employee and executive from the 1980s through January 2005. He remains a fugitive. See our post here. Download the DOJ's November 12, 2009 release here. The Justice Department's aggressive enforcement of the Foreign Corrupt Practices Act against individuals continues. On Friday, a former executive and an ex-consultant of Willbros International Inc., a subsidiary of Houston-based Willbros Group Inc., were charged in connection with a conspiracy to bribe government officials in Nigeria and Ecuador. Former consultant Paul G. Novak, 41, was arrested on arrival at George Bush Intercontinental Airport in Houston. He was returned to the United States from Constantia, South Africa after his U.S. passport was revoked. James K. Tillery, 49, the former Willbros International executive, remains at large. An indictment unsealed Friday in U.S. District Court in Houston charges Novak and Tillery with conspiring to bribe Nigerian and Ecuadorian government officials to obtain and retain gas pipeline construction and rehabilitation business from state-owned oil companies in those countries. Tillery and Novak face one count of conspiracy to violate the FCPA, two counts of violating the FCPA in connection with the authorization of specific corrupt payments to officials in Nigeria and Ecuador, and one count of conspiring to launder the bribe payments through purported consulting companies controlled by Novak. If convicted of all charges, they each face up to 35 years in prison and fines of the greater of $250,000 or twice the pecuniary gain or loss from the FCPA offenses and, for the money laundering conspiracy, $500,000 or twice the value of the funds involved in the transfer. The indictment says Tillery was a Willbros International employee and executive from the 1980s through January 2005. From 2002 until January 2005, he served as executive vice president and later as president of the company. Novak was an employee in the mid-1990s and later worked as an oil and gas consultant in Nigeria, purporting to provide consulting services to companies in that field. Tillery and Novak, along with a Nigerian working as a consultant and employees of a German engineering firm Willbros had partnered with, conspired to pay more than $6 million in return for a $387 million contract to construct Nigeria's Eastern Gas Gathering System, according to the indictment. From late 2003 to 2005, payments were made and others promised to Nigerian officials. The indictment also alleges that Tillery, Novak and other Willbros employees based in South America paid $300,000 to officials at the state-owned oil company in Ecuador, PetroEcuador, and its subsidiary PetroComercial, in exchange for a $3 million contract to refurbish a 16-mile gas pipeline between Santo Domingo and El Beaterio. In May this year, Willbros Group and Willbros International paid $22 million and entered into a deferred prosecution agreement with the DOJ to settle criminal FCPA charges in connection with corrupt payments to Nigerian and Ecuadorian officials. Willbros Group also paid $10.3 million (disgorgement of $8.9 million, plus prejudgment interest of $1.4 million) to resolve the SEC's civil enforcement action. As part of the settlement, the Willbros companies have been cooperating with the DOJ's ongoing investigation. In November 2007, Jason Edward Steph, 37, who once served as general manager of on-shore operations for Willbros International, pleaded guilty to conspiring to violate the FCPA by bribing Nigerian officials. Steph said that in February and March of 2005 he, former Willbros executive Jim Bob Brown, and others arranged to pay about $1.8 million in cash to the officials. Brown also pleaded guilty to a similar charge in September 2006. He and Steph are cooperating with the government’s investigation and are waiting to be sentenced. In the May 2008 SEC complaint against Willbros Group, Steph and former employees Gerald Jansen, Lloyd Biggers, and Carlos Galvez were named for aiding and abetting Willbros Group's violation of the antibribery, books and records, and internal controls provisions of the FCPA, and knowingly circumventing the FCPA's internal controls and books and records provisions. All four consented to permanent injunctions, with Jansen and Galvez ordered to pay civil penalties of $30,000 and $35,000 respectively. Determination of Steph's civil penalty was deferred pending his sentencing in the criminal case. Willbros Group, Inc. trades on the New York Stock Exchange under the symbol WG. It provides construction, engineering and other services to the oil and gas industry. Download the DOJ's Dec. 19, 2008 release regarding Paul G. Novak and James K. Tillery here. Download the DOJ's indictment of Novak and Tillery here. Download the DOJ's May 14, 2008 release regarding Willbros Group Inc. here. View the SEC's Litigation Release No. 20571 (May 14, 2008) in Securities and Exchange Commission v. Willbros Group, Inc., et al., Civil Action No. 4:08-CV-01494 U.S.D.C., Southern District of Texas (Houston Division) here. Download the SEC's May 14, 2008 civil complaint against Willbros Group Inc., Jason Steph, Gerald Jansen, Lloyd Biggers and Carlos Galvez here. Download the DOJ's November 5, 2007 release regarding Jason Edward Steph's guilty plea here. Download Steph's November 5, 2007 Plea Agreement with the DOJ here. The Justice Department says it plans to prosecute more individuals under the Foreign Corrupt Practices Act -- and send them to jail. We looked through our posts to see how men and women fared over the past year. Below are excerpts from posts dealing with those who've been criminally charged or sentenced under the FCPA, or settled enforcement actions with the SEC, or both, during the past twelve months. The titles link to the original posts. The Justice Department said it arrested four people last week on charges that they and their company bribed Vietnamese officials in exchange for contracts to supply equipment and technology to government agencies in Vietnam. The DOJ said U.S. citizens Nam Nguyen, 52, of Houston; Joseph Lukas, 59, of Smithville, N.J.; Kim Nguyen, 39, of Philadelphia; and An Nguyen, 32, of Philadelphia were arrested after they, along with Nexus Technologies Inc., were indicted on Sept. 4, 2008, by a federal grand jury in Philadelphia on one count of conspiracy to violate the Foreign Corrupt Practices Act and four substantive counts of violating the FCPA. The Justice Department said today that Albert “Jack” Stanley, 65, a former chairman and CEO of KBR, the global engineering and construction firm based in Houston, pleaded guilty to a two-count criminal information charging him with conspiracy to violate the Foreign Corrupt Practices Act and conspiracy to commit mail and wire fraud. He appeared in U.S. District Court in his hometown of Houston before U.S. District Judge Keith P. Ellison. . . . Under the plea deal accepted by the court, Stanley faces seven years in prison and a restitution payment of $10.8 million. Two former telecommunications executives who admitted bribing employees of state-owned companies in Africa and concealing the payments have avoided prison in exchange for their cooperation in an ongoing FBI investigation. The Justice Department said yesterday that Roger Michael Young, 48, of Washington, D.C., a former managing director of ITXC Corporation, has been sentenced to five years probation, including three months home confinement, three months in a community confinement center, and a $7,000 fine. He pleaded guilty in July 2007 to violating the Foreign Corrupt Practices Act and the Travel Act. Former ITXC Vice President Steven J. Ott, 49, of Princeton, N.J., who also pleaded guilty, was sentenced in July this year to five years probation, including six months in a community confinement center and six months home confinement. He was fined $10,000. A third defendant in the case, Yaw Osei Amoako, 55, of Hillsborough, N.J., pleaded guilty in September 2006. He was sentenced in August 2007 to 18 months in prison followed by two years of supervised release, and a $7,500 fine. A former co-owner and executive of California-based Pacific Consolidated Industries (PCI) pleaded guilty yesterday to violating the Foreign Corrupt Practices Act. Martin Eric Self, 51, of Orange, California pleaded guilty to a two-count information charging him with violating the FCPA by paying more than $70,000 in bribes to a U.K. Ministry of Defence official. The bribes were intended to secure equipment contracts with the U.K. Royal Air Force. . . . The Securities and Exchange Commission said that on April 18, 2008 it settled civil proceedings under the Foreign Corrupt Practices Act against Steven J. Ott, Roger Michael Young, and Yaw Osei Amoako. The SEC charged the former executives of ITXC Corp. with violating the antibribery and books and records provisions of the FCPA by bribing senior officials of government-owned telephone companies in Nigeria, Rwanda and Senegal, and concealing and falsely reporting the illegal payments. In settling the SEC's civil enforcement action, Ott, Young and Amoako each consented to the entry of a final judgment that permanently enjoins them from violating Sections 30A and 13(b)(5) of the Securities Exchange Act of 1934, Rule 13b2-1 thereunder, and from aiding and abetting violations of Exchange Act Section 13(b)(2)(A) and, with respect to Ott and Young, violations of Exchange Act Section 13(b)(2)(B). Amoako also must pay $188,453 in disgorgement and prejudgment interest. He took kickbacks for some of the bribes he paid to the foreign officials. The Justice Department has announced the April 22, 2008 sentencing of former World Bank employee, Ramendra Basu. The Indian national and U.S. permanent resident received 15 months in prison for conspiring to award World Bank contracts to consultants in exchange for kickbacks and for helping a contractor bribe a foreign official in violation of the Foreign Corrupt Practices Act. In addition to the 15- month prison term, Basu was sentenced to two years supervised release and 50 hours of community service. U.S. v. Basu, (Cr. No. 02-475) D.D.C., November 2002. Wow! It's not often -- never, in fact -- that we can talk about the LA movie scene and tap Variety as one of our sources. But here it is. The Department of Justice just announced that a Los Angeles film executive and his wife were arrested on allegations of making corrupt payments to a Thai government official in order to obtain lucrative contracts to run an international film festival in Bangkok, in violation of the Foreign Corrupt Practices Act. Gerald Green, 75, and his wife Patricia Green, 52, both of Los Angeles, were arrested on a criminal complaint filed on Dec. 7, 2007, in federal court in Los Angeles and unsealed today. The complaint alleges that the Greens conspired to pay more than $1.7 million in bribes for the benefit of a government official with the Tourism Authority of Thailand (TAT) in order to obtain the film festival contract and other contracts with the TAT worth more than $10 million. The former chairman and ceo of Schnitzer Steel Industries, Inc. resolved charges on December 13, 2007 brought by the Securities and Exchange Commission under the U.S. Foreign Corrupt Practices Act. Robert W. Philip, 60, of Portland, Oregon, will pay about $250,000 to settle charges that he violated the antibribery, books and records and internal controls provisions of the FCPA (Section 30A of the Securities Exchange Act of 1934 [15 U.S.C. § 78dd-1], Section13(b)(2)(A) [15 U.S.C. § 78m(b)(2)(A)], and Section 13(b)(2)(B) [15 U.S.C. § 78m(b)(2)(B)]). He served as Schnitzer's president beginning in 1991, as its chief executive officer from 2002, and as chairman from 2004. He left the company in May 2005. Jason Edward Steph, 37, who once served as general manager of on-shore operations for a subsidiary of Willbros Group Inc., entered into a plea agreement with the U.S. Department of Justice on November 5, 2007. He pleaded guilty to conspiring to bribe officials of the government of Nigeria with more than $6 million -- in violation of the U.S. Foreign Corrupt Practices Act. Steph, of Sunset, Texas, was indicted on July 19, 2007. He now faces five years in prison and a $250,000 fine. . . .
Steph also said that in February and March of 2005 he, former Willbros executive Jim Bob Brown, and others arranged for the payment of approximately $1.8 million in cash to government officials in Nigeria. Brown pleaded guilty to a similar charge on Sept. 14, 2006. Steph and Brown are cooperating with the government’s ongoing investigation . . . . The U.S. Securities and Exchange Commission announced on September 25, 2007 two settled enforcement actions based on violations of the books and records provisions of the Foreign Corrupt Practices Act. The actions involved the founder and former president of A.T. Kearney Ltd's India business, Chandramowli Srinivasan, and Kearney's former parent company, Electronic Data Systems Corp. . . .
For violating Sections 13(b)(5) and 30A of the Securities Exchange Act of 1934, Srinivasan paid a civil penalty of $70,000. Jason Edward Steph, 37, who once served as general manager of on-shore operations for a subsidiary of Willbros Group Inc., entered into a plea agreement with the U.S. Department of Justice on November 5, 2007. He pleaded guilty to conspiring to bribe officials of the government of Nigeria with more than $6 million -- in violation of the U.S. Foreign Corrupt Practices Act. Steph, of Sunset, Texas, was indicted on July 19, 2007. He now faces five years in prison and a $250,000 fine. Willbros third quarter 2007 earnings release reported on October 31, 2007 that the company will pay $32.3 million to resolve FCPA violations related to former operations in Bolivia, Ecuador and Nigeria. Willbros is headquartered in Panama City, Panama and has its administrative offices in Houston, Texas. 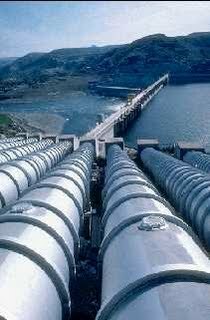 It provides construction and engineering services to industry and government entities worldwide, specializing in pipelines and associated facilities in onshore, coastal and offshore locations. Steph was a Willbros employee from 1998 to April 2005. He admitted in his plea agreement that in late 2003 he, another Willbros senior executive in charge of international business, two purported consultants, and certain Nigeria-based employees of a major German engineering and construction company, agreed to make a series of corrupt payments totaling more than $6 million. The DOJ's release said, "The payments were offered and made to officials of the Nigerian National Petroleum Corporation (the Nigerian state-owned oil company) and its subsidiary, National Petroleum Investment Management Services, a Nigerian political party, and a senior official in the executive branch of the Nigerian federal government, in order to assist in securing a major gas pipeline construction contract in Nigeria." Steph also said that in February and March of 2005 he, former Willbros executive Jim Bob Brown, and others arranged for the payment of approximately $1.8 million in cash to government officials in Nigeria. Brown pleaded guilty to a similar charge on Sept. 14, 2006. Steph and Brown are cooperating with the government’s ongoing investigation and both will probably be sentenced in January 2008. View the DOJ's November 5, 2007 News Release Here. View Jason Edward Steph's November 5, 2007 Plea Agreement Here.